Pristine beaches, virgin coves with incredible views, hidden caves you can only reach from the sea; The North coast landscapes are open, wild, with striking contrasts and gentle and secluded spots. Posidony reaches secret places on Minorca´s North coast to bring you a unique experience. A sailor`s town by deﬁnition at Fornell`s bay, the largest one in Minorca. It is located inside the Marine Reserve, a perfect starting point for all our tours. 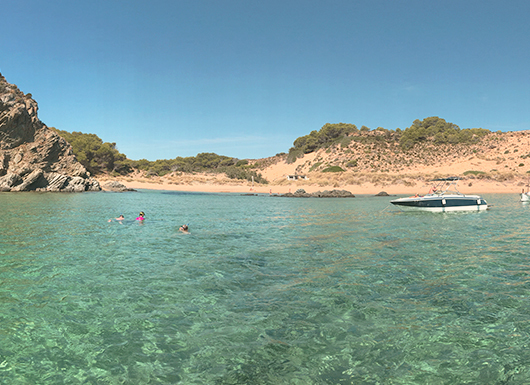 Still mostly unknown, in the heart of the real Minorca, it is the perfect place to enjoy an essential Mediterranean swim in its shallow waters, sided by forest and dunes. An amazing landscape to relax or explore, your choice! A wonderful secret spot almost impossible to reach from land, and a luxury for your senses. Intense turquoise waters, white sands sea ground with rocks where marine life shelter. 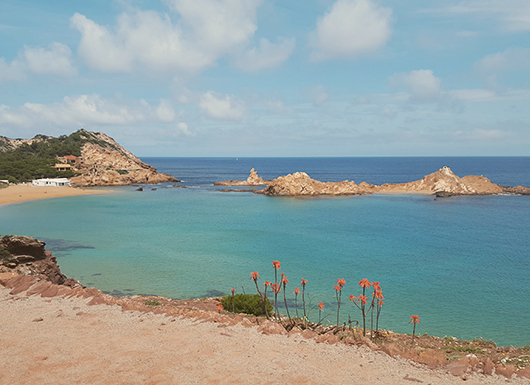 Out of the trodden paths of touristic routes, Sa Llosa is only known to a few sailors. Unique and Minorca´s North coast best known cove. 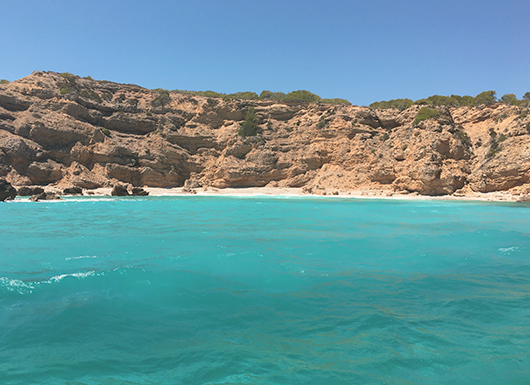 In Pregonda´s tiny island, an outstanding geological formation capriciously eroded by the wind and the sea into a dreamy landscape, it is a delicious sand beach with access only from the sea. A swim to remember, the pure essence of Minorca. The most distant spot inMinorca, boating there you can enjoy the incredible and assorted landscape of Minorca`s wildest and more natural coast. 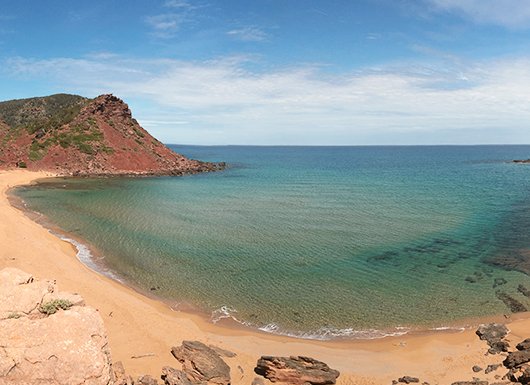 Inside the most protected area of the Marine Reserve, it has red sand, almost carmine. 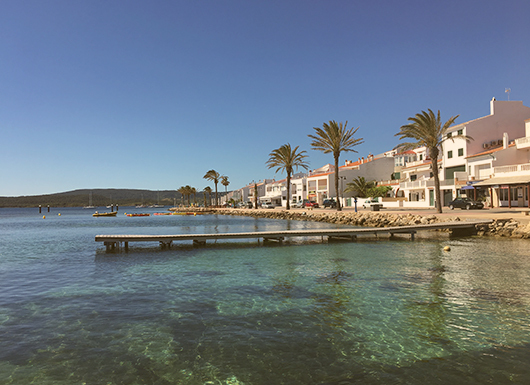 Swimming here is submerging in the magic of Minorca.